This 1/2” French headband is wrapped with silk, lightly stuffed wool gabardine is then braided added on the top. The 1/2” thickness gives ‘height’ to your hair. 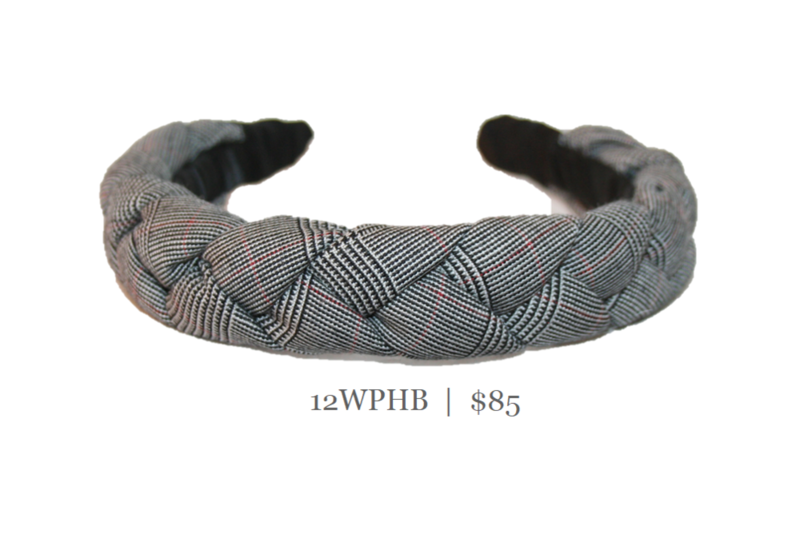 The total width of the beautiful headband measures 1 1/4” Luxurious wool gabardine, classic, timeless. Showcased here in black/red plaid.